The legendary group of six is back! First sold in August of 2005, GSC's first trading figure set made quite a splash with its superb quality and helped to establish GSC's now stellar reputation. Now that legendary trading figure set is being reissued for general sale! 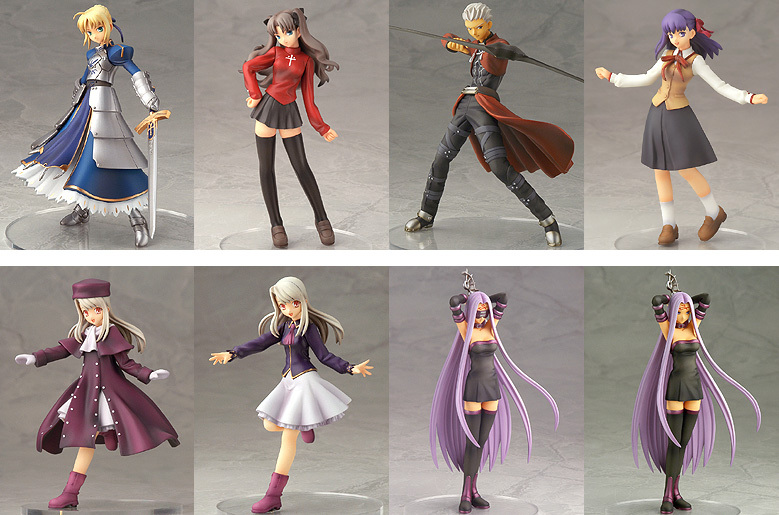 Six characters, Saber, Rin Tohsaka, Archer, Rider, Ilya, and Sakura Matou, make up the all-star lineup, and are on sale now!